Maybe i should say Hi, to professor Aidan Potts. 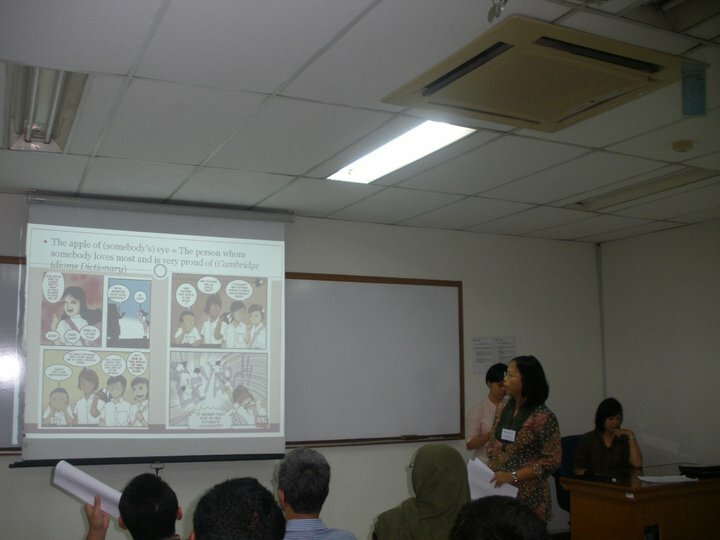 Comics are considered “childish” or something not serious but for this group that consist of Mifta Anggi Angguni, R. Adelina Fauzie, and Lukki Retno Ambarsari from the Atma Jaya Catholic University, I Get It became a case study presented at the International Conference on Translation and Interpretation Studies or TransCon 2011 held by the The Applied English Linguistics Program (LTBI), Graduate School of Atma Jaya Catholic University(for further reading go here: http://ltbiatmajaya.blogspot.com/). I haven’t got the details yet on how the presentation went or what is it all about, but probably I’ll be hearing more from the team in the near future. I’ve been raised with a great deal of American English exposure but now I’m living in the UK. And you get different words but the same meaning all the time.